Attention Deficit Hyperactivity Disorder is a common disorder in children and adolescents. In the U.S., approximately 5-18 percent of children have been diagnosed with ADHD. Children affected with this condition are at an increased risk for academic underachievement, dropping out from school, risk taking behaviors, and having more challenges with peer and family relationships. For children who have been appropriately diagnosed, currently available therapeutics help to manage the “core” symptoms: inattention, overactivity and difficulty modulating behavior. Medications remain the most effective therapeutic option proven to date for managing symptoms of ADHD. However, medications alone are not 100 percent effective, and little is known about the long-term outcomes. This has prompted many to consider non-medication approaches, such as those that focus on diet and sleep. A common theory that has evolved over the past few decades is that synthetic food color additives worsen ADHD symptoms. For example, the Feinstein Diet restricts added synthetic food colors and flavors: FD&C Blue #1 (brilliant blue), FD&C Blue #2 (Indigotine), FD&C Green #3 (Green S; fast green), Orange B, Citrus Red #2 (Amaranth), FD&C Red #3 (Erythrosine), FD&C Red #40 (Allura Red), FD&C Yellow #5 (Tartrazine), and FD&C Yellow #6 (Sunset Yellow). Scientific studies to date have demonstrated that only 8 percent of the children who removed food color additives from their diet saw improvement in their ADHD symptoms — and the benefit was seen mostly in kids who tended toward food sensitivities and food allergies. Elimination diets — diets that remove foods purported to “provoke” symptoms — and antigenic diets also have been postulated to improve symptoms of children with ADHD. Multiple studies found that approximately 30 percent of children with ADHD who went on one of these restricted diets saw mild improvement in their ADHD symptoms. The magnitude of improvement was only one-sixth to one-third of what would be seen with typical medications used to treat ADHD. Additionally, these studies were of short duration, so they were unable to answer the question of nutritional safety and impact on growth over time. Other studies assessed the effect of free fatty acid (FFA) supplements with either omega 3, omega 6 or omega 3+6. Children with ADHD who took FFA supplements saw small improvements in their symptoms. Gluten-free diets have become more mainstream: it is estimated that 10-20 percent of the U.S. population adheres to a gluten-free diet. Individuals with a known susceptibility to wheat and gluten proteins (i.e. medically diagnosed wheat allergy, celiac disease, nonceliac gluten sensitivity) benefit from a gluten-free diet. However, there can be risks with unsupervised GFD that includes and may not be limited to unintentional weight loss, lower BMI, lower fiber diet and vitamin and micronutrient deficiencies. Currently, there is inadequate scientific evidence on gluten-free diets and ADHD. Sleep problems are more common in children with ADHD compared to their peers. Sleep deprivation causes exacerbation of ADHD behaviors in children; parents are more likely to experience stress and more likely to be tardy for work. A study conducted in Australia looked at the effect of counseling children with ADHD on ways to improve their sleep hygiene. These children, who were already taking ADHD medications, were found to have better sleep, fewer ADHD symptoms and improved behavior when rechecked at six months. There are several drawbacks to the science of studying treatments (whether it be medications, diet changes or behavioral interventions) for childhood ADHD. Most of the evidence to date has focused on improving ADHD symptoms and typically has only monitored the effects of treatment for less than a year. We understand which treatments improve the symptoms of ADHD, however we lack knowledge of the bigger picture: will they help children with ADHD over time to become more successful in school and life — and what are the long-term side effects? If you are the parent of a child (or children) with ADHD, be sure to discuss questions, thoughts and ideas around your child’s treatment plan with your child’s health care team — especially if it involves changing your child’s diet, which may require careful guidance and nutritional monitoring. Diet, sleep and behavioral changes can augment the effect of medications. 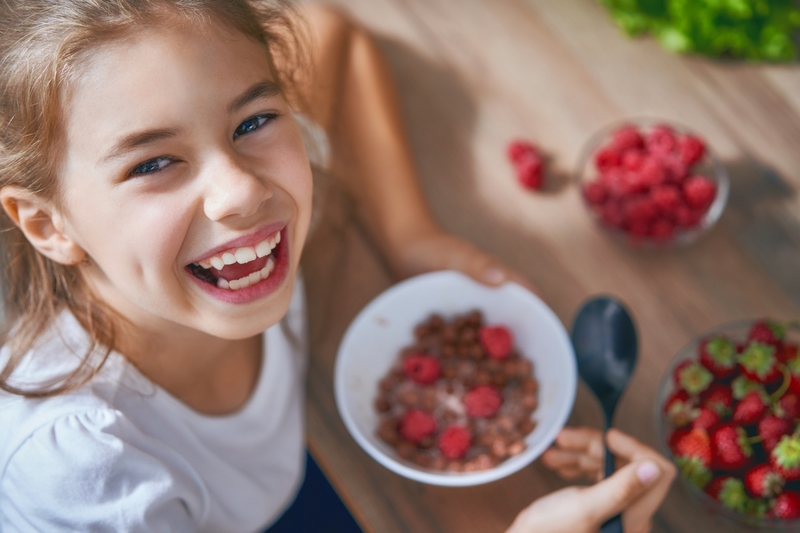 For children with mild ADHD, it may be reasonable to first attempt dietary changes, especially if your child has food sensitivities and/or allergies, along with practicing good sleep hygiene. Always encourage healthy eating and staying active — parents included.